Submitted by admin on 11th Jan 2016, 11:00. 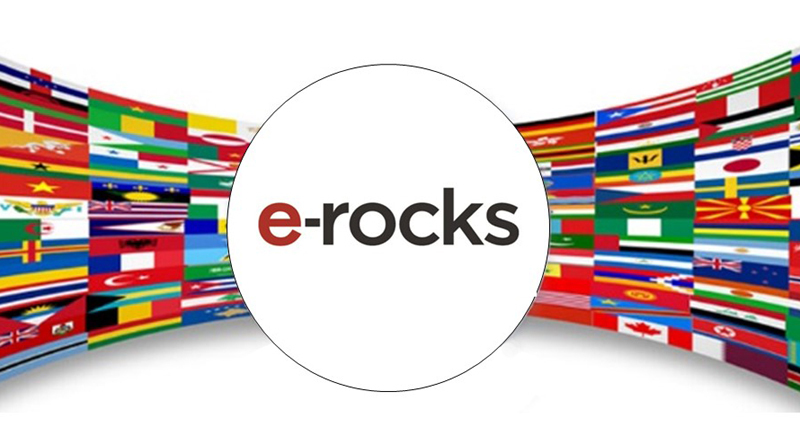 To start 2016 off we have introduced a translation feature for e-Rocks. This should be easy to use and hopefully cater for most users who's first language isn't English. The translator applies to all pages, and when operational has a "Show Original" button to compare translation with original. To access the translation feature, go to the footer on any page and locate the "select language" drop down. Follow the onscreen selection and the translation will automatically appear as you navigate the site. For sellers and collectors the "Backoffice" and upload forms and controls are also translated - the "select language" drop down is set at the bottom of the left hand menu. In all cases a light grey tool bar will appear across the top of your screen. To revert back or select another language etc use the "Show Original" button in the toolbar. To turn the whole thing off and hide the tool bar, click the X to the right. As always if you have any question/problems please email using the Contact Us form.